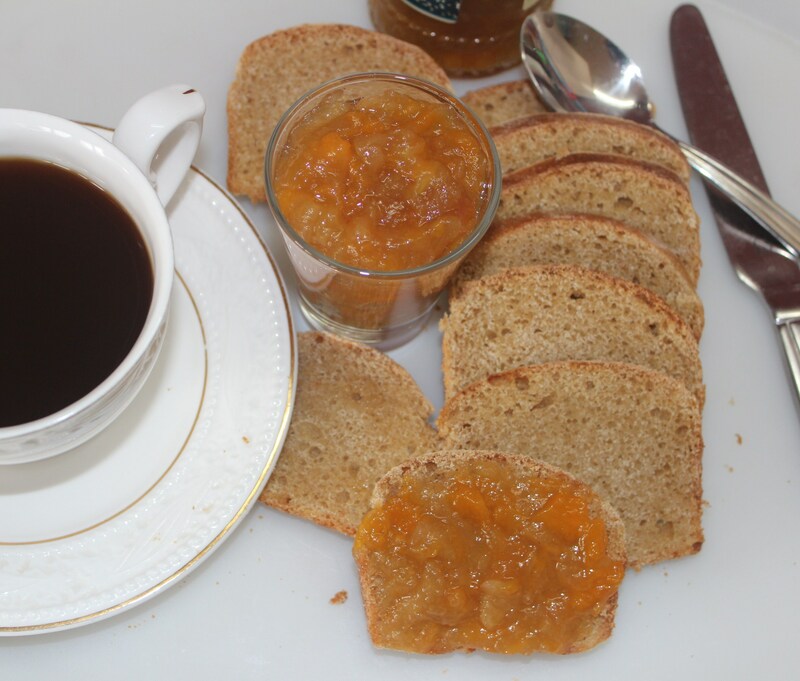 With the same motive of making jams without added store bought pectin or other preservatives, this is an Apple and Peach Jam. 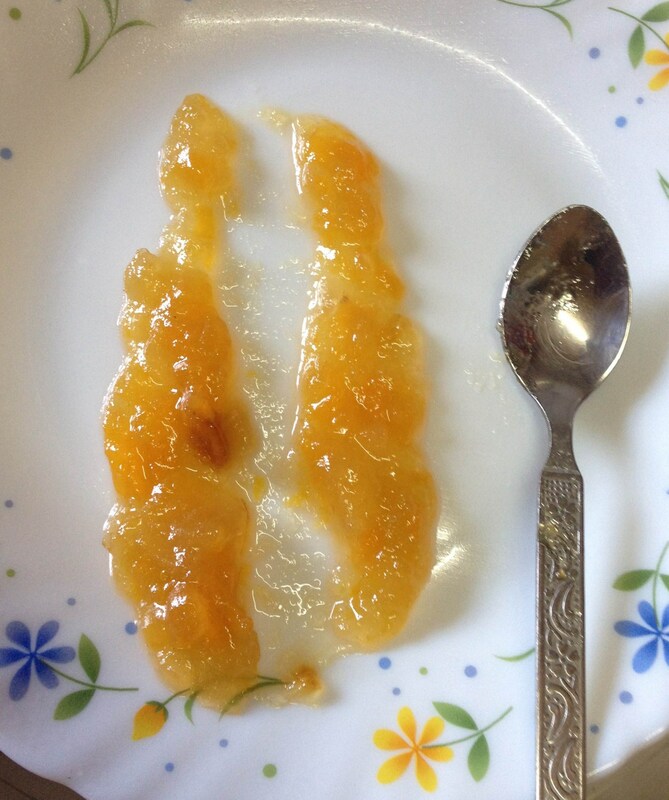 With the tanginess of peach and sweetness and a bit of sourness of apple, this recipe again uses the natural pectin already preserved in the two fruits and additionally in the seeds of apple and stone of peach. 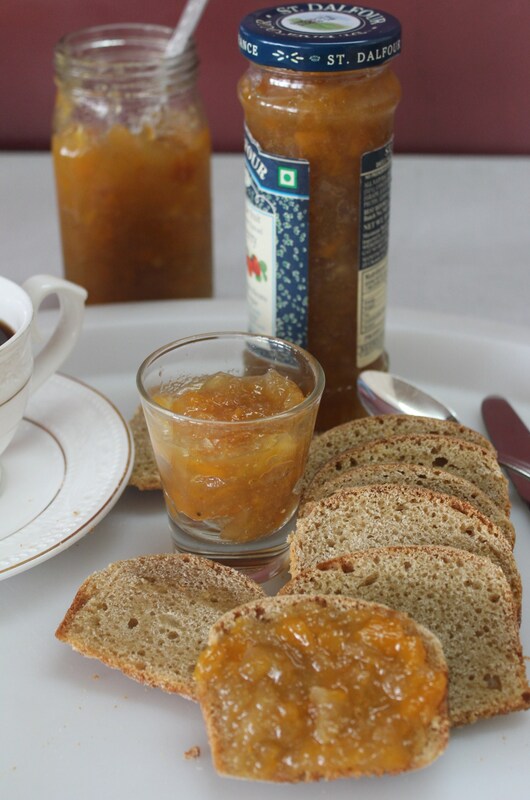 So, I got 100% organic apples and peaches, pectin from apple seeds and peach stones, minimal sugar (400 gms sugar for 1200 gms of fruit with the core and stone) and scored well with a good consistency Jam. I would suggest a reduction of 100 gms of sugar, as the jam seemed a bit higher on the sugar side, but go on with the same 400 gms if you prefer a sweet jam as store-bought. 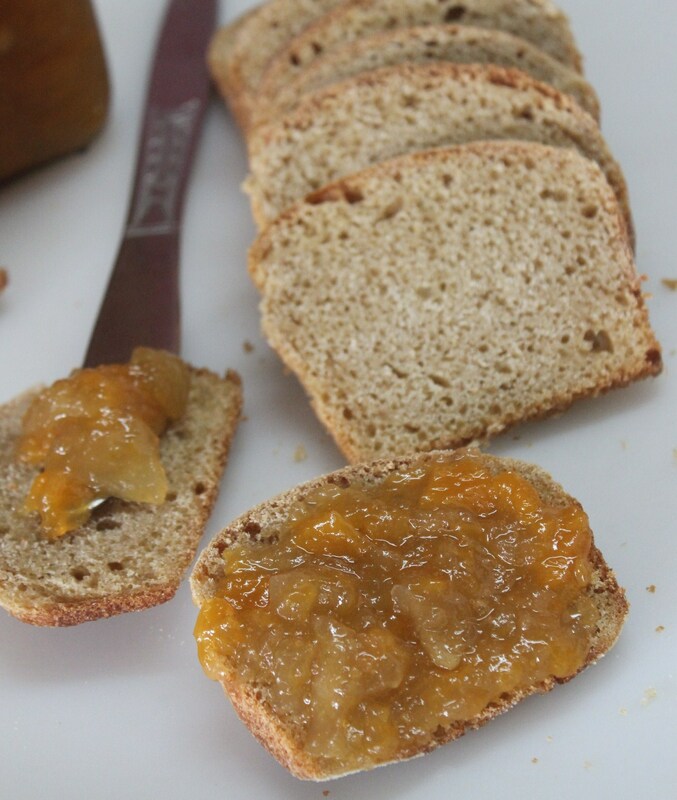 Thanks to my little one who chopped a few apples and squeezed lemons in the making of this healthy Jam with natural pectin. 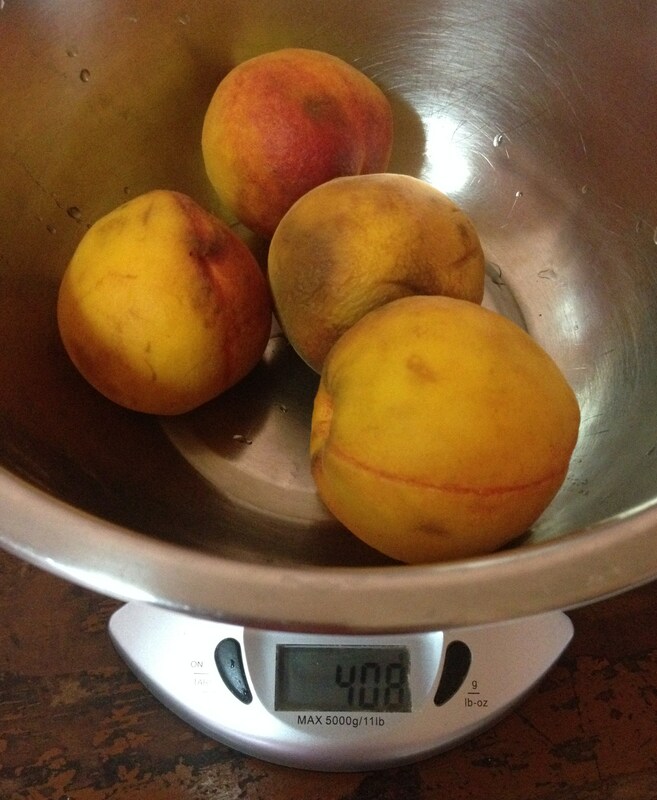 Wash the peaches and apples. Soak them in turmeric-salt water for 1/2 an hour. 1. De-skin the fruits and cut into small pieces. 2. 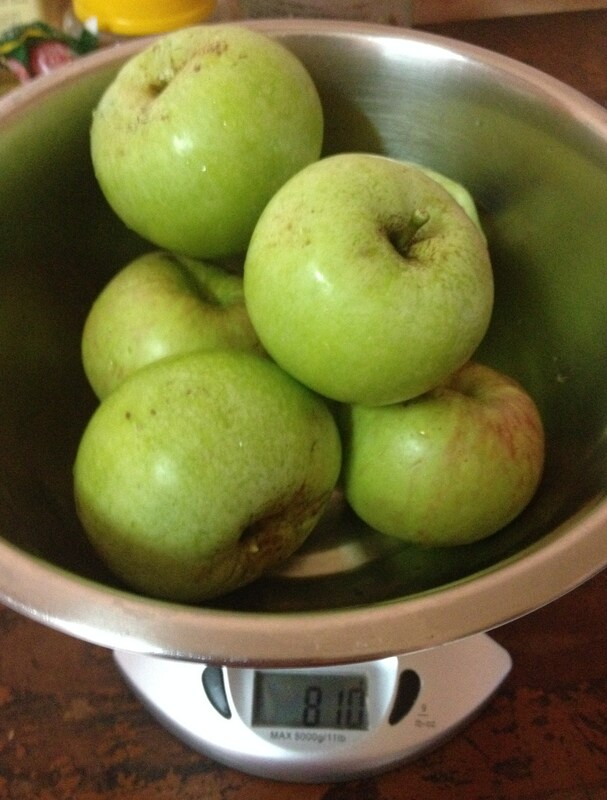 In a hard bottomed vessel, first add the chopped apples and water and bring to boil. Reduce to simmer. Note: If both fruits are added together, apple remains hard but peach tends to become soft, as peaches cook faster than apple. 3. 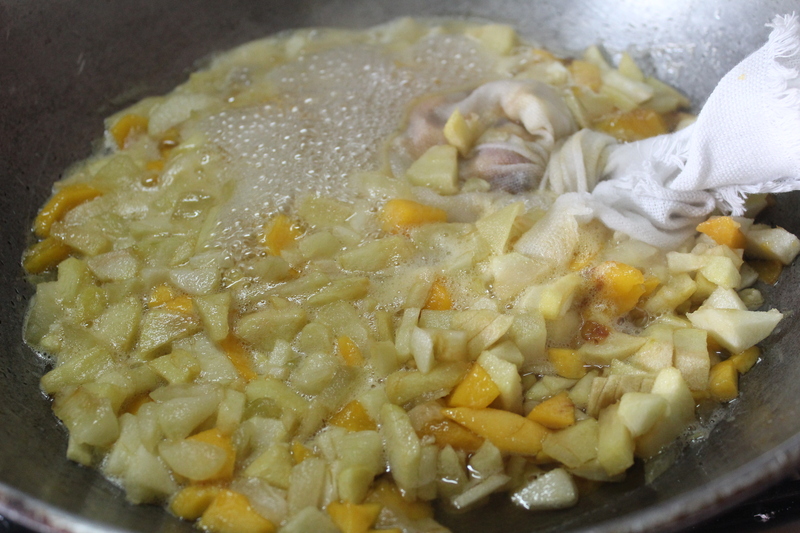 Then, add peach and sugar and stir well. 4. Tie the apple cores and peach seeds in a clean white muslin cloth and keep it dipped in the fruit-sugar mixture and let it boil for 10 minutes. 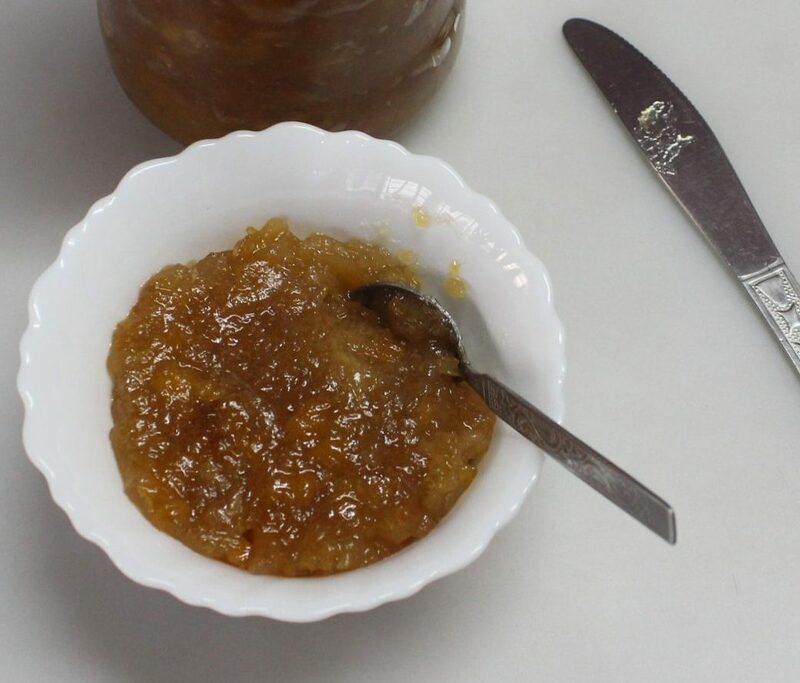 Note: It is suggested in http://merrynsmenu.blogspot.in/2013/04/peach-and-apple-jam.html to immerse the apple cores and peach seed just after apples are brough to boil – i.e. before adding peaches and sugar, but I forgot that step. So after addition of peach and sugar, I dipped the cores and stones. Yet, it turned out be perfect…lucky me. 5. 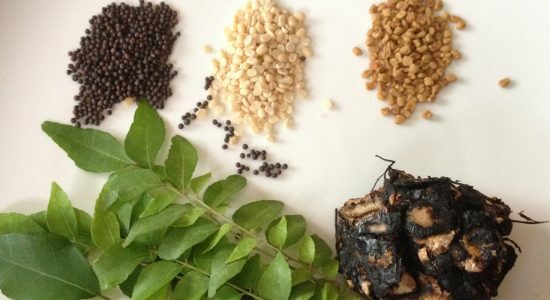 After 10 minutes, remove the cloth with seeds and add lemon juice to the cooking mixture. 6. Let the mixture cook well and set to jam consistency. 7. Check in-between with the plate in the freezer for consistency – swipe a spoon of jam on the plate and split into two halves with a spoon. If it sets well and isn’t flowing on the plate, jam is done. Else, cook for some more time.